NGC7000 – the North America nebula – definitive issue! 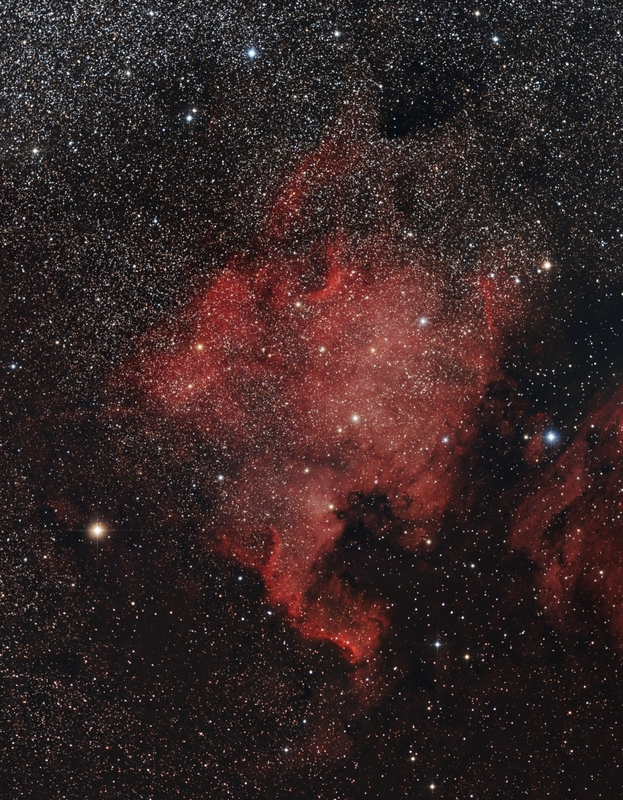 Last night I took a single frame using the M26C camera and the one collimated Sky 90 refractor to capture the very north of the North America nebula – an area I have not imaged properly before. Managed to get 9 frames at 1,000 seconds per frame before lack of sleep hit me and I had to retire to bed 🙂 Bolted the 3rd frame onto the previous two, and with a bit of cropping this is the result. Must admit to being very pleased with this one indeed.